Home » What is Manual Call Point (MCP) ? 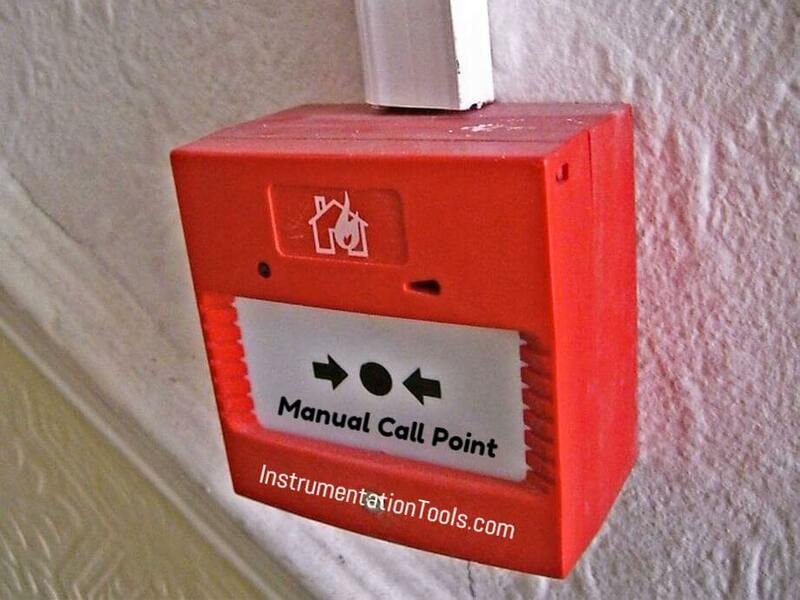 Manual Call Point is a device for the manual initiation of an alarm. Manual fire alarm activation is typically achieved through the use of a pull station (term used in USA & Canada) or call point (term used in Europe, Australia, and Asia), which then sounds the evacuation alarm for the relevant building or zone. Manual fire alarm activation requires human intervention, as distinct from automatic fire alarm activation such as that provided through the use of heat detectors and smoke detectors. It is, however, possible for call points/pull stations to be used in conjunction with automatic detection as part of an overall fire detection and alarm system. In Europe, Australia, New Zealand, and Asia, pull stations are generally not used; instead a manual call point is used, which is usually referred to as an MCP, call point or Fire Point within the fire protection industry. They are used to allow building occupants to signal that a fire or other emergency exists within the building. They are usually connected to a central fire alarm panel which is in turn connected to an alarm system in the building. Manual call points are used to initiate an alarm signal, and operate by means of a simple button press or when glass is broken revealing a button. They can form part of a manual alarm system or an automatic alarm system. There will be an indicator on the monitoring unit for visual indication to locate the call point easily. Following are some minimum requirement applicable for manual call point, however requirements vary from industry to industry. Manual Call points (MCP) shall be of the break-glass type with protection against accidental operation. The MCP’s shall be provided with a key operated test facility to enable periodic testing of the alarm contacts without the need to remove or break the glass. The method of operation shall be clearly indicated by a concise permanent inscription inside the unit and clearly visible from outside including the word ’ Fire. e.g. “Fire: Break Glass”. The glass shall be designed in such a way as to prevent injuries, when struck by the operator. The call point shall return to its normal condition when the frangible element is replaced. The glass shall be properly secured by sealing rings. The call points shall be equipped with current limiting resistors permanently fitted inside the unit and not wired into terminals provided for field wiring. Operation of the call point shall Cause a change in loop current to be detected at the Fire and Gas control panel. The manual call points for hazardous areas shall include encapsulated changeover contacts use with IS monitoring circuits. A brass hammer or similar operating device shall be provided for call points with means of attachment. Such operating device shall not be capable of producing a spark when struck against the body of the call point. All the manual call points shall be red epoxy finished. Manual call points are essentially just another form of fire detection – the difference is that YOU are the detector! They make it easy for people like you and me to make it known that there is danger from fire on the premises and that action needs to be taken. Manual call points are normally installed as part of a fire alarm system at regular intervals thoughout a building, it is even possible to buy weatherproof manual call points that can be positioned outside. The call point will be connected on a loop to a fire alarm control panel and when you activate the manual call point, what you’re actually doing is sending a message to the control panel to let it know that there is a fire danger in your immediate area. The person in charge of monitoring the control panel will be able to see that the alarm has been activated and investigate and take action on your behalf. Some control panels even send automatic messages to the emergency services. In the past, manual call points had a glass screen that had to be broken before the call point button could be pressed – you may even be familiar with this type of device as a ‘break glass’. However, glass is no longer used as the cost of replacing used call points was considerable and there was danger of injury to the person using the call point. Modern manual call points now have plastic elements that have to be firmly depressed to activate an alarm. Modern call points with plastic elements are also resettable and can be used time and time again. This change in design has also acted as a deterrant to vandals and trouble-makers as it is no longer as costly and time-consuming as it once was to deal with a false alarm. If you discover a fire and you know of a manual call point nearby do not be hesitant to use it. Your actions could make a big difference to the severity of the fire. Firmly press the call point element on the spot marked by the arrows and make your way to safety. Some call points will even make it clear that your activation has been successful by dropping a small flag into the call point window. And if you’ve been mistaken, don’t worry! The call point can easily be reset with the use of a special reset key.